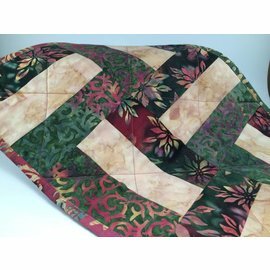 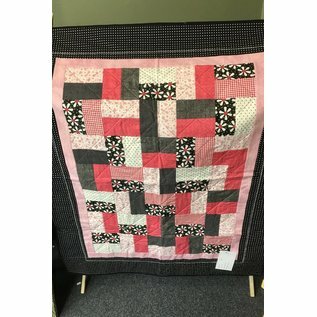 Pink, black, and white flowered quilt. 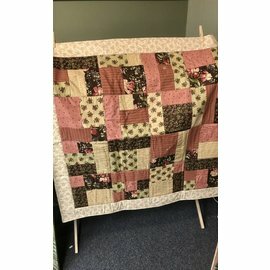 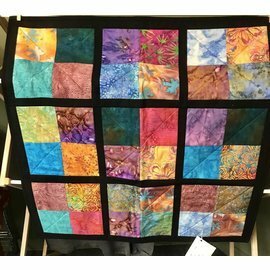 Perfect for a baby quit, lap quilt, or to hang on the wall. 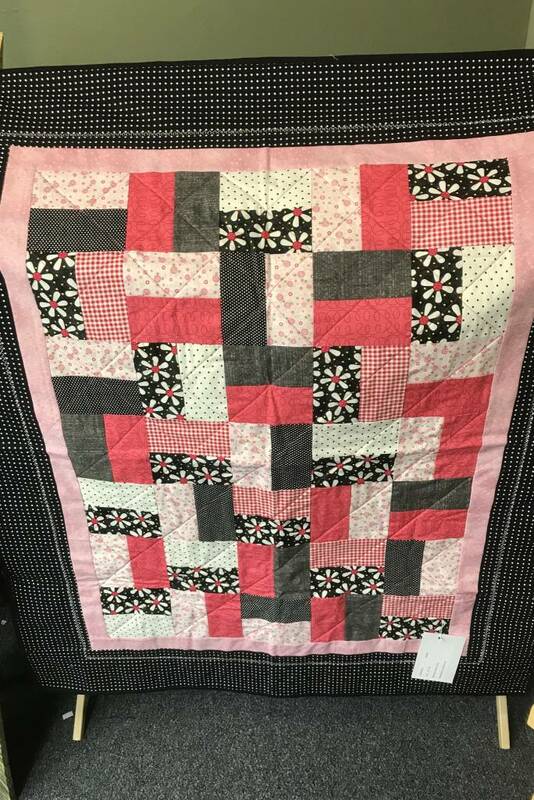 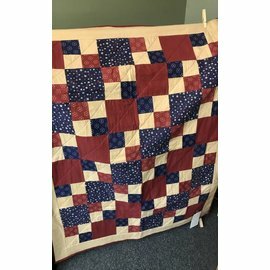 Quilt measures 37 x 48"